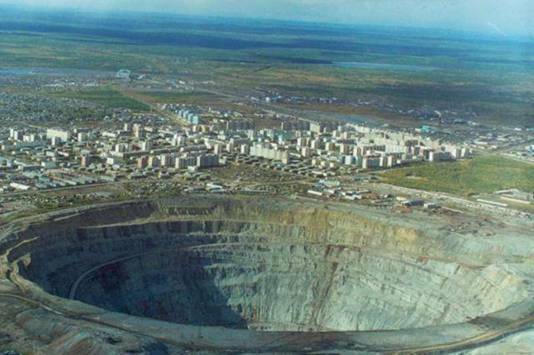 The Udachnaya pipe (literally lucky pipe) is the largest diamond deposit in the Daldyn-Alakit kimberlite field in Sakha Republic, Russia and one of the largest in the world. 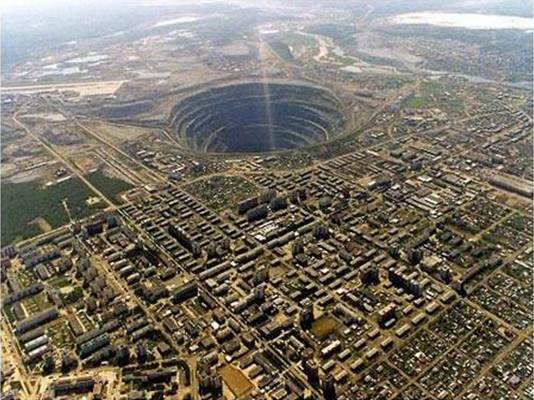 It is an open-pit mine located just outside the Arctic circle and it is more than 600 meters (1980 feet) deep. 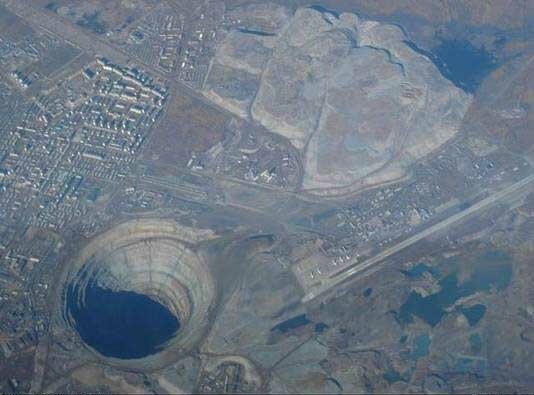 It is the third deepest open-pit mine in the world (after Bingham Canyon Mine and Chuquicamata). 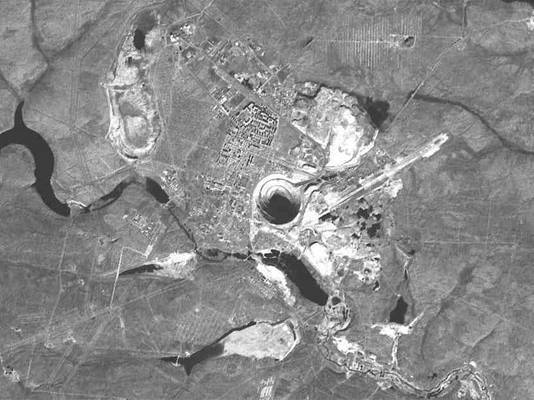 Udachnaya was discovered on June 15, 1955, just two days after the discovery of the diamond pipe Mir by Soviet geologist Vladimir Shchukin and his team. The nearby settlement of Udachny is named for the deposit. When you are standing on the top, the huge Caterpillars look tiny. And when you are at the bottom of the pipe, it looks… well, it looks just amazing. 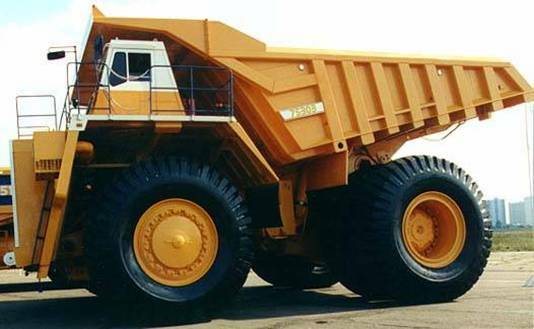 The following truck loader is one of the biggest in the world – lenth 13.36 meters, width 7.78 meters and height 6.65 meters. This gaint machine appears just a small point in the next image. 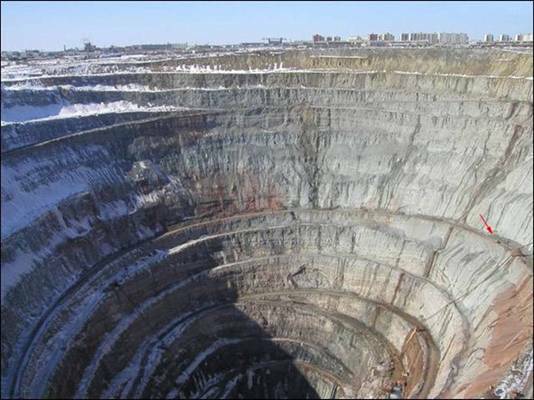 Udachnaya pipe is controlled by Russian diamond company Alrosa, which plans to halt open-pit mining in favor of underground mining in 2010. The suction above the hole resulted in several helicopter crashes, so all flight above the hole is prohibited now.